Located on the shores of Lake Rotoura, the 4 star Sudima Lake Rotorua is adjacent to the famous Polynesian spa. Just an 11-minute walk from the Energy Events Centre, the property features free WiFi and free on site parking. The hotel is a 10-minute drive from the Skyline Rotorua and Rainbow Springs and a 15-minute drive from Agrodome. 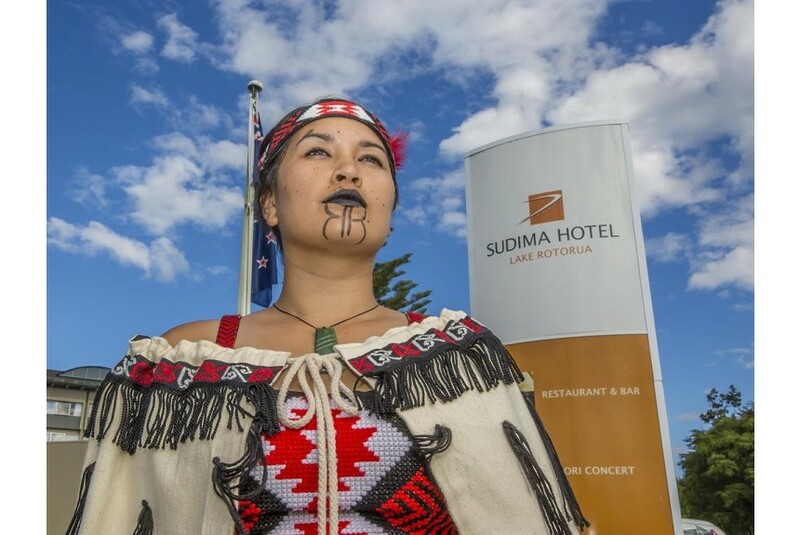 Sudima Lake Rotorua offers 258 well appointed guest rooms including LCD TVs with satellite channels, tea and coffee making facilities, 24/7 room and front desk service and ceiling fans. Heating is provided for all rooms. Some rooms have air conditioning. Guests can dine at the Lakes Restaurant open for breakfast and all day dining, featuring international cuisines and New Zealand wines. Enjoy a drink Mallards Bar with its striking view over lake Rotorua. The fully accessible hotel has a heated swimming pool, massage services and Maori cultural shows. There is a token operated guest laundry and secure bike hanger.